AAA travel can provide great hotel deals. From all inclusive luxury vacation deals to amazing hotel discounts, airfare bargains, business travel, spring break travel, last minute driving tips, road maps and so much more, AAA travel has it all. In addition to providing its members with 24 hour emergency roadside assistance, including towing, lockouts, tire changes, and other vehicular problems that urgently require drivers' attention, the American Automobile Association's travel division offers a wide array of travel services. Whether online, by phone, or in person, AAA can make your travel arrangements more affordable and convenient. Let's take a look at some of the services offered by AAA travel. 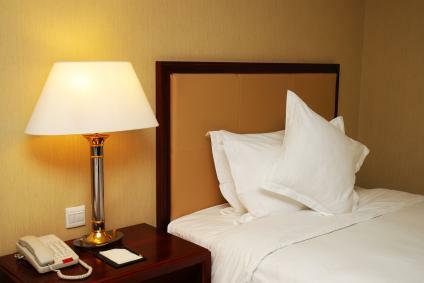 AAA can provide hotel discounts from thousands of places. Many of the top hotel chains are participants in the AAA Show Your Card and Save program. This program can significantly lower your travel costs. AAA can also find pet friendly properties. AAA travel agents can book tickets with all the premier airlines, and can get you the best fare because they compare flight information and rates. AAA members can also compare flight information for themselves online. Additional services such as rental cars and hotel reservations are also available and easy to arrange. AAA can provide exclusive discounts and rental car benefits from one of the leading rental car companies, Hertz. You can reserve cars online and enjoy fantastic discounts that only AAA members are eligible to receive. Whether you need an affordable rental car for your vacation, or a special drive that desires a rental vehicle, AAA travel can take care of all your car rental concerns. AAA offers spectacular cruise deals aboard some of the leading cruise lines in the world. Caribbean cruises, Alaskan cruises, Hawaiian cruises, European cruises, Luxury cruises, Mediterranean cruises, river cruises, and honeymoon cruises are all available. AAA discounts can provide amazing cruising bargains. In addition to cruise deals, AAA can provide transportation to your port of departure, and offer convenient accommodations and discounts at nearby hotels. Triple A offers a host of exciting vacation packages and wonderful opportunities you might find very enticing. From the air conditioned comfort of Amtrak rail vacations, to deluxe luxury tours, AAA can help you make the most out of your vacation. Great deals on tickets for many of the best attractions are among the many special perks offered to AAA members. The company provides access to an extensive collection of maps and driving directions. AAA travel books and travel guides provide in depth information about personalized map routings and other valuable information. Many road maps you find in gas stations and other places are outdated. AAA can provide reliable and updated maps and driving directions to ensure that you arrive at your destination without any incidents. AAA allows member to plot their own routes, and also to add hotels that are conveniently located along the way. AAA maps and driving directions also take into account attractions in the area, AAA offices, and much more. Don't rely on that old map in your glove box, let AAA guide you with the latest updated directions and highway exits. AAA has many exciting two to five day driving itineraries. These preplanned itineraries are flexible and include a route map, mileage, the estimated driving time, and all the specific details about what to do and see along the way. Triple A also offers international travel, and can bring the reliable travel service you have come to trust within the United States to your vacations abroad. Enjoy AAA in Egypt, China, and many other fabulous destinations. AAA travel is wonderful because it allows you to focus on your vacation while they take care of all the accommodations and offers great savings. AAA is ideal for all types of travelers because there is something for everyone.